Discussion Has anyone used Shot Scope? Has anyone used Shot Scope? I've seen it in some youtube videos and was wondering if anyone has tried it first hand! I have one. It works pretty well. Almost never misses full shots. It has some trouble with delicate shots around the green. It is limited, as all devices of this kind, by the accuracy of GPS which is maybe 5 yards. This makes the putting stats less useful than you might like. The app is pretty good. Relatively easy to edit holes although I still can't figure out how to edit putts directly. I also have been lazy and haven't asked. I have one as well. Works nicely. Gives good information about results. Pretty reliable in terms of how it picks up shots. GPS feature has also worked well for me. Very easy to operate. No complaints from me. Works well, but I hate the watch, looks and feels very outdated. Have one as well. It's incredibly cool to use. They're customer service is fantastic if courses are missing. Best of all there's no subscription fee. The watch itself is a bit bulky but I've since gotten accustomed to it. No need for phone in pocket or any other GPS is handy. Just placed an order for mine yesterday. Excited to break it out this week with the sunshine that has been gone for too long. I just picked one up and was able to play a 9 hole round with it at my home course, Morgan Run (East). They were missing the Glide Forged wedges and my Maltby putter and support added those for me within 24 hours of me emailing them over a weekend. Coming from a Garmin S20 I was pretty familiar with using a GPS watch and found the pin collection and general usage to be quite simple. It missed 1 shot (a driver off the tee) all day and I was able to add it later easily. I have one significant issue that I have already reported to support. When editing my round I noticed every hole was a par 4 so it seems my golf course's database entry is inaccurate. Hopefully it doesn't take them too long to address it. Looking forward to many more rounds with this watch. Have had mine for 4 months and used it specifically for my club gapping. Worked great and very easy to use compared to other systems out there. Have it listed now on BST. I've had mine for a full season. Pros: It's great at shot tracking. It tracks putts fairly well, although you do have to stand over the hope and hit the button to tell it that you're done putting. You don't have to have your phone in your pocket. The sensors stay in your club pretty well. They're customer service is top knotch. There are no monthly or yearly fees. It's super easy to edit on your phone or in the computer. It has the ability to let you pick between a lost ball or OB shot, which can be manipulated if you're just hitting extra shots while you're out on the course practicing... Which I love!! Tons of stats and the medals are kinda cool. Cons: You have to mark the button for putts... Although it's easy and pretty accurate. The watch is a bit large. It took a little time to get used to. They give you a month to try it out and return it if you don't like it. It's definitely worth a shot! Two rounds in with it. Absolutely loving it so far. The phone dashboard is nice post round, but the desktop dashboard is phenomenal! Even just two rounds there is so much to play with and analyze afterwards. I'm always worried about overshooting greens but my stats show nearly 50% of my green misses are short left. It is relatively large, but it is not noticeable when wearing, and I don't even like playing with a watch on. My only cons seem to be that it doesn't recognize bunkers at my home course, but this may be easily reconciled. Some putt distances may not be recorded (although pin collect makes sure the putts themselves are recorded) as it is such a soft stroke, but it is very easily fixed by hopping on the dashboard afterwards and moving tiles to approximate locations. Battery life is approximately 6 hours with GPS & Tracking enabled. 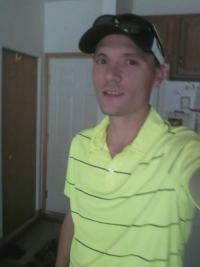 Being a walker, I played one round, went home for lunch and let it charge while I ate, Then I came back and got stuck playing in a slow group on the front 9 and behind a slow group on the back 9, but the charge still held. Thanks for the great feedback. Which course is your home course? We will double check the mapping for you. I recently purchased this product and have used it for a few rounds. Overall I like it. Ihad a few missed shots( I had trouble in a bunker) but it was easy to edit after the round. I find it helpful for my game, and fits my needs. 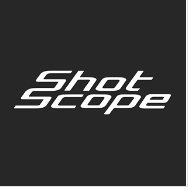 So my issue with my home course's white tees all being Par 4's was solved by Shot Scope's amazing support. Turns out someone had used a SSV2 on my course and had incorrectly updated the tees/pars. I guess if tees don't exist yet for a given course the first person who logs a round can set the tees up. I think once the tees are set no one can change them other than SSV2. Support updated the tees after I sent them a scorecard with just a few emails back and forth. I can't wait to get a few months of data logged. I bought one last week as the deal on it has been pretty good. I guess you can't pass up sub-$200 pricing for the features and the watch. Loaded up the courses I usually play and it was pretty straight-forward. I tried to play and use it Monday after work but it seemed to have bluetooth connection issues. The phone kept asking for a password. 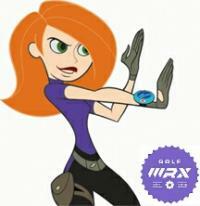 I did not have the instruction booklet with me on the course although my LG G6 phone is a pretty terrible phone. Playing partners were getting impatient so I decided I'll fiddle with it next time out for the shot tracking. The GPS only did work pretty good and the watch itself is fine. I usually don't wear watches, at all, and although the watch itself looks HUUUUGE, I did not notice it impeeding any range of motion and didn't really notice or felt it much. Does WRX have their own SS leaderboard? You shouldn't need bluetooth or even your phone on the course as long as you have the courses downloaded. You just turn the watch on and then choose GPS Track & Play. It will show you the courses near you and you just start the round. Bluetooth is only need after the round for syncing. Oh, nice! Thanks. It really is that simple eh? lol. I'll try it out today or tomorrow. I guess I was making it more complicated than it is, it can't be that simple lol. Yes. Code is HEYWKX I think.